EMUI is the user interface that comes on installed Honor and Huawei phones. EMUI features Huawei Home, phone manager, themes, media apps, and is heavily baked in to the entire system UI. While EMUI has a lot of great features to offer (Screen recording, gesture controls, camera app ect.) many people have serious complaints about it. For a long time, EMUI has been considered one of the more negative aspects of getting an Honor or Huawei device. Over the years EMUI has evolved to be much better and now hosts a great selection of valuable features. Here are some of the best features in EMUI. Instead of relying on a third-party app for screen recording, EMUI has a great screen recorder baked into the system. To activate screen recording, hold power + vol up. Then you will be asked to select your audio input. There is no limit to the amount of time that you can record, so just make sure you have enough space. I made a 1:20:00 recording and it ended up being 2.6GB, but this will change depending on your screen resolution. Your recordings will save as an .mp4 file. The screen recording feature is very useful and has several features that you would normally have to pay for in a third party app. The ability to record for an unlimited amount of time, and record system audio are usually only accessible through premium screen recording apps. The default launcher that comes with EMUI is called Huawei Home which is a very customizable launcher. The homescreen is simple and displays the time, a wallpaper, and the amount of steps you’ve taken that day. In the home settings, you can choose custom transitions, toggle app icon badges, create a custom icon grid and more. For a default launcher, it’s pretty good. If they could get a better selection of icons, it would really improve the look of everything. Private Space is a separate account where you can hide all of your private files, photos, videos and apps. You setup this account with a pin and fingerprint password. After you’re all set up, you can access your private space by pressing the fingerprint sensor which will log you in to your separate account. Your main fingerprint will be used for your primary account and a separate fingerprint will be used to access your private space. It’s really fast and secure, which makes this a great EMUI feature. Private Space is kind of a hidden feature that not many people know about or use but it is very useful. After using it for a bit, you’ll come to rely on a separate space for all of your files and apps that you need to keep secret. The Color Mode & Temperature adjustments let you fine-tune the colors on your screen. You can choose between Normal and Vivid mode based on how saturated you’d like your screen to be. Color Temperature adjustment will help you make your colors as accurate as possible. Adjust it until your whites are as white as they can be, blues are blue ect. Without an AMOLED display, this is an important feature to make sure you can calibrate your screen correctly. The Translator app is the best solution for people traveling to parts of the world that don’t use your first language. It is incredibly easy to use and will translate two different people speaking in real time. When speaking with someone else, you’ll pull up the app, tap the microphone icons and say whatever you need to say. You can choose what language it gets translated to. Your phone will read out whatever you said in the language you chose. Additionally, the other people in the conversation can use it to talk back. It’s the best app of its type and a great feature of EMUI. This app is exclusive to devices with Kirin chipsets running EMUI. It has the power that you’d only expect from a paid premium app but is available for free in EMUI. When using a pair of wired headphones, you can activate the Huawei Histen sound effects. This is found in your sound menu in settings and lets you fine-tune the way your headphones will sound. This is a world-class audio enhancement technology that uses the latest and most advanced audio processing algorithms. It will have the biggest impact on larger more high-end headsets. It’s not uncommon to have multiple accounts for social media apps like Snapchat. The problem is, Snapchat doesn’t let you swap accounts without logging out and logging in with separate credentials. App Twin solves this issue by cloning compatible apps and letting you sign in with another account. Both apps will run at the same time without a problem, delivering notifications and everything as normal. While EMUI has no shortage of criticism from its users, you will find these particular features extremely useful. 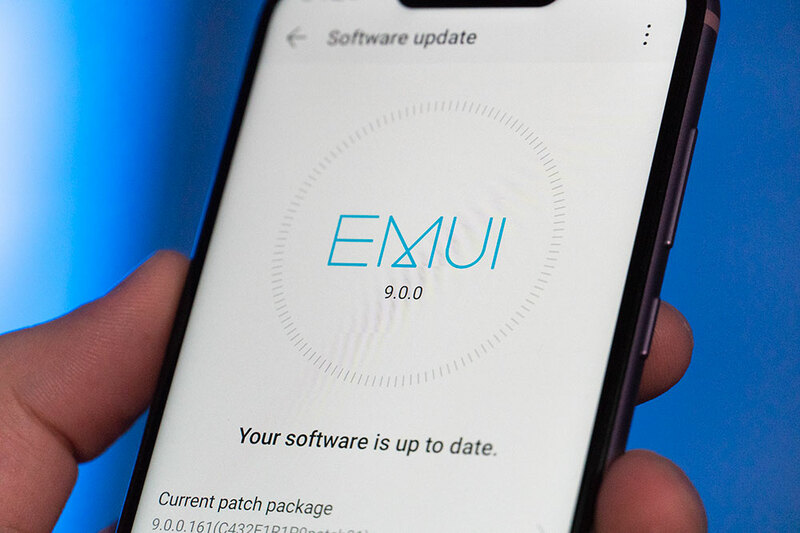 Looking beyond the bloatware apps, the bad theme engine, the gimmicks and the ugly icons, you’ll find some amazing features that hint at a bright future for EMUI. What EMUI features do you use and which one is your favorite? Let us know in the comments.